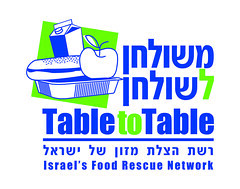 Table to Table (T2T) is Israel’s leading food rescue organization. Joseph Gitler, an American immigrant from New York, founded the group in 2003. Five years and countless pounds of rescued food later, the group continues to feed hungry Israelis. Chief Operating Officer Gidi Kroch sat down with me (in an e-mail kind of way) to talk shop. How did T2T get started? Joseph Gitler noticed the discrepancy between a growing phenomenon of poverty and the waste of good food being discarded by caterers and wedding halls. That was the initial start of Table to Table – one guy, working from home with a station wagon and no help, picking up good food and distributing it to shelters and soup kitchens. A short while later, the Leket project was initialized totally by chance when a farmer who’d heard about the operation asked if he could do anything with slightly damaged crop that was about to be destroyed. The rest is history. What is the biggest challenge T2T faces on a daily basis? The biggest challenges T2T faces today is enlarging our operations, finding new and additional sources of food to rescue, not to mention the growing economic pressure of rising oil prices, deteriorating shekel-to-dollar exchange rate and the cost of operating an organization that relies heavily on logistics and transportation of perishable goods. Is word getting around about what food recovery means? I think so. We are part of a growing international trend and not a local operation. T2T is also part of the recycling boom. We don’t recycle food of course, but we help maximize utilization of resources – instead of expanding production and incurring additional manufacturing costs to feed the needy, we rescue existing food that would have been thrown away and provide it to many thousands of Israelis. We have made a name for ourselves amongst Israel’s agriculture community in Israel and we receive calls every day from farmers who are aware of our activities and want to help. Food manufacturers and marketing agencies are also aware of our activities and are continuing to grow at a solid pace. 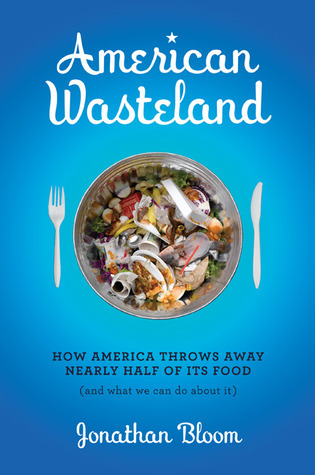 Estimates on US food waste range from about 27 to 50 percent. A recent UK study estimated a third of British food is wasted. Is there an estimate for Israel and do you have any reason to think there’s more or less food waste there than in the US or UK? I do not have the statistics for Israel and all the guesstimates are what they are. But one thing is clear: A tremendous amount of good food in Israel is thrown away. Anyone who has been to a wedding and witnessed the amount of food being thrown away can attest to that fact. I recently went to a wedding that served the first course around 11:30 pm. You can imagine how much of the food was actually thrown away and not consumed by the guests. There is also a cultural issue involved. Israel is known for the lavish and generous food presented on happy occasions like weddings and bar mitzvahs, and the breakfast buffets served by hotels around the country are well known throughout the world. We tend to serve more food than less, so we tend to throw away more than less as well. In agriculture I believe we are the same as anywhere in the world: We are mechanized and as efficient as anyone in the world and therefore our results would be practically the same. Currently we collect around 50,000 prepared meals a month, we expect to almost double in the summer when more catered events take place. This amount is divided about evenly between daily pickups from IDF (Israeli Defense Forces) and corporate dining rooms and catering companies at night. Project Leket collects 150 tons of produce on average; we expect to double the amount by this time next year. As for manufactured goods we collect around 25-35 tons per month with a wide variety of merchandise. Is the amount of food waste increasing, decreasing, or remaining steady? The amount of food waste will eventually decrease slowly, although since we have not tapped all available resources we expect to see a rise of the amount we collect in the short term. The reason for the decrease of amount of food is the efficiency standards that caterers and all the food industry will have to employ based on estimates of world food shortages and the price hike of ingredients. Have food and gas prices increased dramatically in Israel? If so, how has that affected your operation? Gas prices have steadily rose in Israel and are now reaching $7.00 per gallon. Combined with the falling shekel–to-dollar exchange rate we are experiencing very difficult times in maintaining our operations, not to mention expanding and drilling deeper into our current donor database. Compared to last year we have ‘lost’ NIS 1 for each US dollar we receive as a donation. This has mostly impacted our “operating costs like fuel, manpower and utilities. Even without the current price hike, the dollar effect is significant enough, combined with the price hike it is evolving into a real crisis for all charities that are dollar dependent. Kibbutzim are a uniquely Israeli phenomenon—how do they contribute to Table to Table? Kibbutzim are indeed a unique phenomenon, and although they are slowly moving away from agriculture they are still a significant source of the country’s produce. We work with the kibbutzim and deal with them as we deal with any food donor we have. They are usually receptive to our requests and are a good partner in our operations. As we have not tapped all available resources it is difficult to say or compare, but as far as I can see to date there is no difference between the donors. It is important to understand the motivation of a farmer to donate. Aside from the community service he is providing, which of course in itself is a major factor, there are the economic factors as well. The economics are relatively simple: what is the current going rate of his produce compared to the cost of picking and transporting it to the wholesale market? If it doesn’t make economic sense the farmer is not going to pick the crop, but if he knows about Table to Table he will donate the produce. If not, the produce will eventually will be destroyed. What kind of events have the most excess food—weddings, bar mitzvahs, other? The events that have most excess food are of course weddings. There are typically twice as many guests at a wedding than at a bar mitzvah; thus the amount of food is doubled and therefore the possibility of collecting excess food is bigger. Also, typically there is more food presented at a wedding as opposed to bar mitzvah. Any truth to the rumor that there’s more excess food when Americans have their Bar/Bat Mitzvahs in the Holy Land, as opposed to Israelis? This entry was posted in Food Recovery, International, Q & A. Bookmark the permalink. Both comments and trackbacks are currently closed.